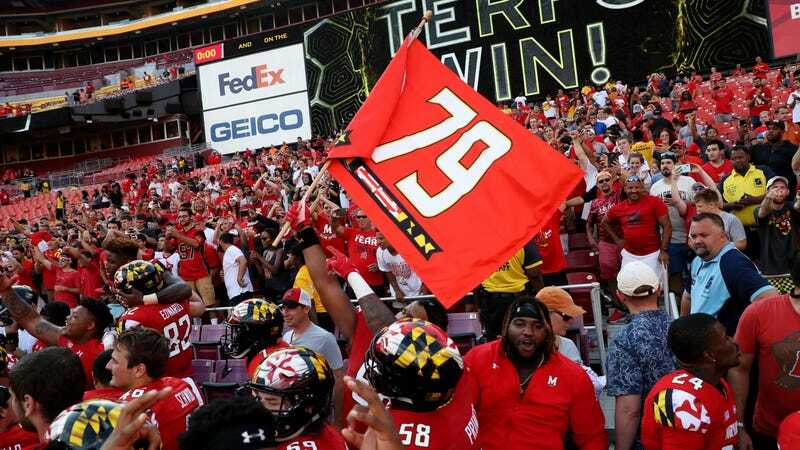 The Baltimore Sun is reporting that during Tuesday’s football practice, which was presided over by briefly reinstated and then subsequently fired head coach DJ Durkin, Maryland punter Matt Barber was attacked by teammates who believed he spoke to investigators looking into the death of Jordan McNair and Durkin’s handling of the team. The Sun did not name Barber’s alleged attacker because they were not able to reach him for comment. Barber was reportedly wearing a bandage around his head and had his arm in a sling when he spoke to the paper on Wednesday morning.